Mr. Glover, my high school algebra teacher, who failed me, would be so proud. 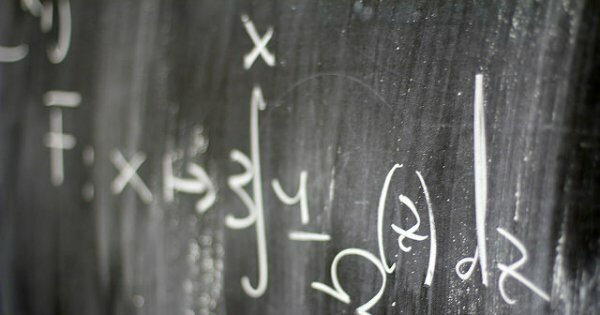 Despite my life-long adversarial relationship with math, I surprisingly rely on it to describe both healthy and problematic relationships in my book, “The Human Magnet Syndrome: Why We Love People Who Hurt Us.” The theory I created uses simple math to illustrate the magnet-like properties of dysfunctional romantic relationships. In this article, I will be a mathematician once again as I delineate healthy versus unhealthy relationships. It seems that psychologically immature lovers are pulled together by the power of the Human Magnet Syndrome. As I wrote in my book of the same name, codependents and pathological narcissists are attracted to each other because one is the “yin” to the other’s “yang.” Like an award winning dance couple, the two are compelled to dance with each other because they fit together like a hand in glove…perfectly! The leader of the dance, typically a narcissist, always finds a partner that syncs up with his controlling and self-serving dance style. Conversely, the follower of the dance, the codependent, similarly finds her “perfect” dance partner. As a couple, these two emotionally and psychologically challenged dancers dance to a perfectly synchronized rhythm; neither one misses a beat. The coupling of psychological “halves” feels exquisitely perfect to the dancers, at least in the beginning, but the “math” never works out. 1 + 1 = 2: Two “whole” or emotionally healthy lovers comprise a complete relationship. In this relationship equation, the two lovers relate to each other as interdependent adults. An interdependent relationship works because of the unique mixture of cooperation and autonomy. Neither need nor rely on the other to feel whole, complete and, therefore, happy. Instead, they come to the relationship as psychologically healthy people seeking an independent but shared love experience. The 1 + 1 healthy love experience is based on the age old maxim that you can’t love someone else until you first love yourself. Healthy relational love is built on the foundation of self-love. According to Melanie Greenberg, PhD., “When we have the courage to let the walls down—to know and embrace ourselves, despite our human failings, we also open the door to connecting in a more caring, empathic, intimate way with the ones we love and with all living beings.” While self-love is the prerequisite for healthy relational love, nothing beats a shared love experience. In unhealthy or dysfunctional relationships, a half plus a half equals one, which is always a half relationship; one that is comprised of insecure, needy and fear-based lovers. For healthy lovers, one plus one equals two—or a full relationship, which is comprised of two independent and personally-fulfilled lovers. 3. Personal and emotional freedom requires courage to confront your fears and insecurities. Don’t let them weigh you down. They are like lead weights to a swimmer, making it harder to keep you head above water. 5. According to Gary Chapman, the author of the Five Love Languages, the best way to fill your spouse’s “love tank” is to express love in their unique love language. Expressing love to your spouse in a way that they can understand and appreciate builds them up and empowers them to reciprocate to meet your own unique love language. 6. Consider your relationship an important investment that requires frequent deposits. Remember, the more you personally invest in your relationship, the higher the “dividends” will be.